Gumbo: Heroes: "He's probably too heavy, but I jumped in anyway." Heroes: "He's probably too heavy, but I jumped in anyway." 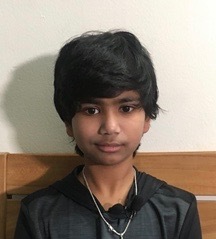 Advaik Nandikotkur, a fifth grader, was with his family at an indoor pool in their apartment building in Eagan, Minnesota, Sunday night when his father noticed a man at the bottom of the pool. The man was visiting another tenant at the apartment building. Although there were several adults nearby, Advaik was the only one who knew how to swim, so he jumped in the water. He pulled the drowning visitor to the surface, even though the man outweighed him by 100 pounds. "Mom told me to jump in and I said he was probably too heavy, but I jumped in anyway," Advaik said. Once the man was out of the water, Advaik's uncle performed CPR on him, even though he isn't trained in it. By the time Eagan police arrived a few minutes later, the man was conscious and breathing. "I've never seen a child spring into action to save an adult from drowning,” said Aaron Machtemes of the Eagan Police Department. “There's examples of people being rescued, but I've never heard of a case like this." Police say the man Advaik rescued went to the hospital, but he was released after a few hours and later he stopped by to thank the boy who saved his life.